You are here: Home / RI Consulting / Where in the World Is? 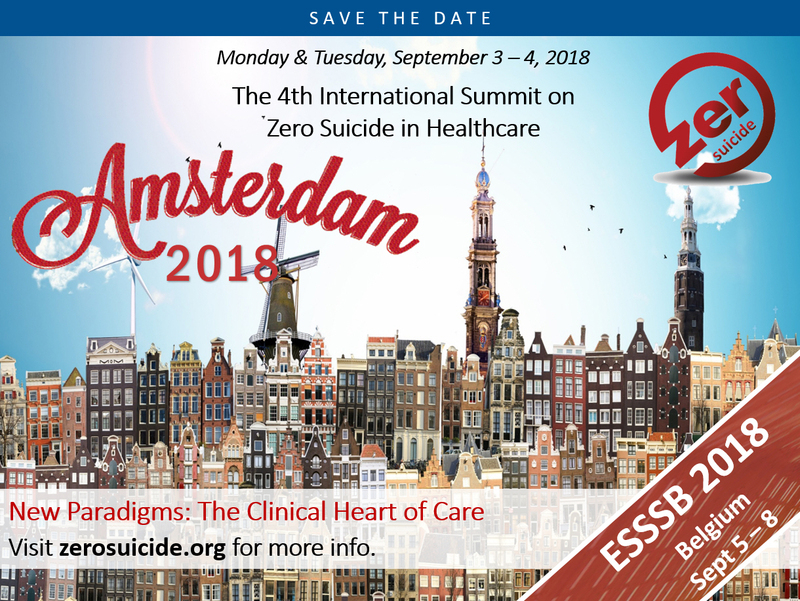 AMSTERDAM, NETHERLANDS (September 2018) Host fourth Zero Suicide International summit just prior to the ESSSB conference in Ghent, Belgium. 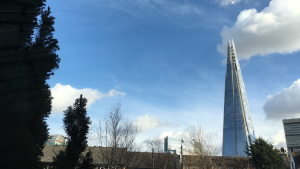 LONDON, UNITED KINGDOM (May 2018) Host first international summit on Crisis Now in partnership with NHS Trust and IIMHL. WASHINGTON, DC (April 2018) As President-Elect, David Covington will lead the American Association of Suicidology conference with Program Chair Raymond Tucker. SHANGHAI, CHINA (December 2017) Present at the International Conference on Urbanization, Modernization, Globalization and Suicide at Shanghai University. COPENHAGEN, DENMARK (September 2017) Participate in the Together Against Stigma: Overcoming Barriers in Mind and Society eighth conference. AUCKLAND, NEW ZEALAND (July 2017) Met with NZ Minister of Health Jonathan Coleman at the Beehive in Wellington and host one-day National Zero Suicide Forum. KUCHING (BORNEO), MALAYSIA (July 2017) Moderated symposium on Zero Suicide and special plenary lecture at IASP World Congress. JINAN, CHINA (May 2017) Presented at Shandong University School of Public Health and Center for Suicide Prevention Research International Summit with Professor Zhang Jie. SEOUL, SOUTH KOREA (May 2017) Visited the Korea Suicide Prevention Center and meet with Professor Jong-Ik Park from Kangwon National University College of Medicine. AUCKLAND, NEW ZEALAND (March 2017) Partners with Grow to host community summit on Zero Suicide, and included a town hall with RI’s furthest office from headquarters. MELBOURNE, AUSTRALIA (March 2017) Partners with Beyond Blue, Susan Beaton Consulting and Victorian Dept of Health on two days of presentations and conversations. SYDNEY, AUSTRALIA (February 2017) Host third Zero Suicide International summit in partnership with Suicide Prevention Australia and IIMHL. THE WHITE HOUSE (September 2016) David Covington was an invited participant to the final session in the Making Health Care Better series (Suicide Prevention). HONG KONG, CHINA (September 2016) Partners with Centre for Suicide Research and Prevention on a Zero Suicide lecture and meetings with team at University of Hong Kong. LONDON, UNITED KINGDOM (September 2016) Kick off speaker for Healthcare Conferences UK summit Towards Zero Suicide: Preventing Suicide, Saving Lives. TOKYO, JAPAN (May 2016) Chair symposium Zero Suicide: International Declaration for Better Healthcare at IASP Asia Pacific Conference and meetings with government officials. LONDON, UNITED KINGDOM (February 2016) David Covington was the kick off speaker for Public Health England summit with Zero Suicide pilot programs. YORKSHIRE, UNITED KINGDOM (February 2016) Keynote speaker at W. Yorkshire Building Resilience and Well-being conference. THE WHITE HOUSE (January 2016) Invited participant to the White House Dialogue on Men’s Health and Depression hosted by Cabinet Secretary Broderick Johnson. THE WHITE HOUSE (October 2015) David Covington presented Zero Suicide in Healthcare initiative at the White House Global Mental Health Day for Suicide Prevention Summit (see blog). VANCOUVER, CANADA (September 2015) Presented update to International Initiative for Mental Health Leadership (IIMHL). ATLANTA, GEORGIA (September 2015) Host second Zero Suicide International summit in partnership with BHLÂ and IIMHL. MONTREAL, CANADA (June 2015) Workshop speaker on Crisis Now and Zero Suicide initiatives at International Association of Suicide Prevention (IASP) World Congress. OSLO, NORWAY (June 2015) Plenary speaker on Empowering People for Recovery at Health Promoting Hospitals and Health Services conference. THE PENTAGON (January 2015) Co-present update on Zero Suicide at the Action Alliance Executive Committee meeting with Dr. Mike Hogan and Karen Johnson. THE WHITE HOUSE (September 2014) Invited participant to the White House Mental Health and Suicide Prevention Briefing with Obama Administration officials. AMSTERDAM, NETHERLANDS (August 2014) Tours of GGZinGeest and 113Online and TV interview alongside Dr. Jan Mokkenstorm. DUBLIN, IRELAND (June 2014) Invited participant to the IIMHL Dublin Dialogues: Discussing the Future for Mental Health Two Day Kilmainham Conference. OXFORD, UNITED KINGDOM (June 2014) Host first ever Zero Suicide International summit at IIMHL suicide prevention match facilitated by Dr. Keith Hawton. SYDNEY, AUSTRALIA (March 2014) Whistle-stop speaker tour including dinner with Minister of Health in President’s Dining Room at Parliament House New South Wales. CHRISTCHURCH, NEW ZEALAND (March 2014)Plenary Address/Grand Rounds on Zero Suicide initiative at Canterbury Medical College. OSLO, NORWAY (September 2013) Chair panel workshop on Zero Suicide initiative at the International Association for Suicide Prevention (IASP) World Congress. BELFAST, N. IRELAND (November 2012) Keynote speaker on Zero Suicide at Contact Northern Ireland Suicide Prevention: What Works? conference. BEIJING, CHINA (September 2011) Magellan Health received Peter Lee Good Practices award at International Association of Suicide Prevention (IASP) World Congress. VIENNA, AUSTRIA (February 2003) Kennesaw State University executive MBA international business project and residency Part 2. BUCHAREST, Â ROMANIA (February 2003)Kennesaw State University executive MBA international business project and residency Part 1. AMMAN, JORDANÂ (September 1990) Grace Community International annual Fall convention. BESANCON, FRANCE (June 1989) Grace Community International summer youth camp staff counselor. JERUSALEM, ISRAEL (May 1989) Grace Community International overseas project summer break and group educational travel. CAIRO, EGYPT Grace Community International overseas project winter break and group educational travel. AMMAN, JORDAN (August 1988 – May 1989) Grace Community International joint venture with Jordanian Sports Federation for the Disabled (Seoul Paralympics). SOUSTONS, FRANCE (September 1987) Grace Community International annual Fall convention. BRIGHTON, ENGLAND (September 1986) Grace Community International annual Fall convention.